Who knew cheese could be so fun? Kids, and adult alike, just love string cheese because it makes eating just a tad bit fun. Peeling off strips of delicious mozzarella has delighted many for years, and now you can make this tasty treat right at home for snacks. Plus you’ll have it on-hand to pack for lunches. 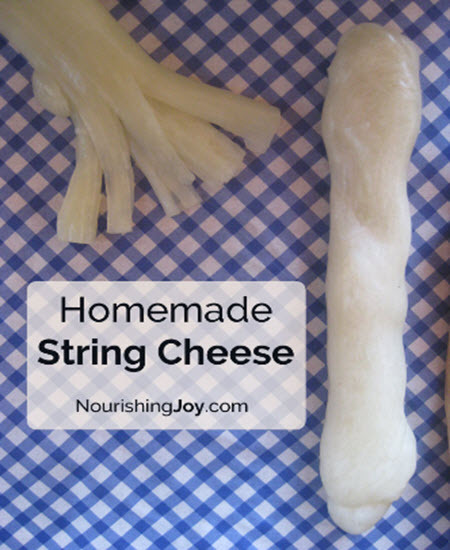 The great thing about making your own string cheese, it that your homemade stash won’t have any of the preservatives and fillers the comes with the store-bought kind.